Bakker Sliedrecht has been the first to develop a generator protection system (CDG-protection) for dual fuel vessels which operate with a dynamic positioning system (DP) 2 and 3. The system has been successfully tested by classification society DNV GL. The Common Diesel Generator protection system the system integrator developed will be deployed for the first time on an offshore heavy lift vessel, which is currently under construction. The ship is equipped with a power plant of 4 generators of 10 MW each, which run on both diesel and LNG. Generator protection is essential to prevent a blackout or failure in the power plant, causing the ship to lose its position during operations. 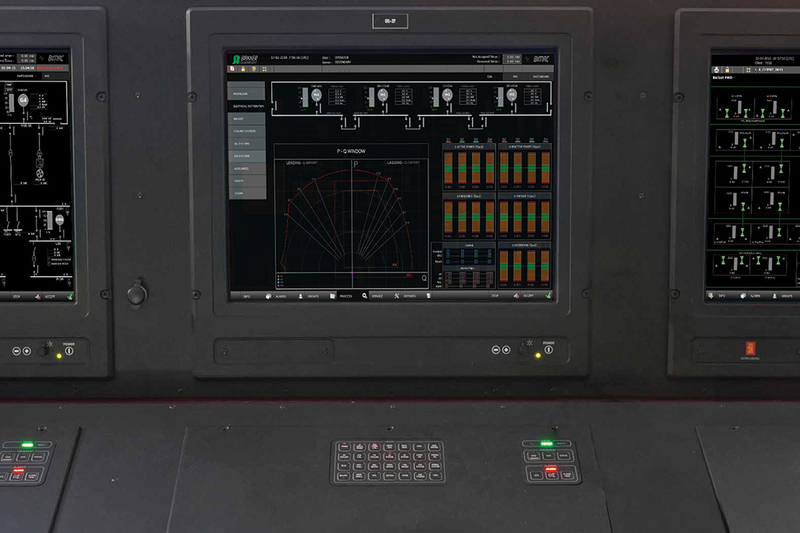 Vessels that sail in DP 2 or 3 mode have to maintain their position at all times, even in case of failures or malfunctions in the fuel system, a diesel, a generator, the switchboard, or the control system. To prevent such malfunctions power plants are usually divided into independent isles. However, this makes generators run inefficient which is undesirable cost- and environmentally wise. That is why ships nowadays prefer to operate with generators in parallel operation. To prevent these from interfering with each other, a generator safety system is necessary. Bakker Sliedrecht’s CDG-protection system uses software to detect and disable an ‘unhealthy’ generator before it can affect the ‘healthy’ generators, making the entire power plant unstable. For power plants equipped with dual fuel generators, this is extra complex because duel fuel engines behave differently than diesel engines and can unexpectedly switch from gas to diesel. Without generator protection, a complex DP vessel will therefore not receive a certificate to operate in DP2 or DP3 closed bus mode. Bakker Sliedrecht started in 2017 with the further development of its own CDG protection system for complex work vessels. The system is now so far developed that it can be deployed in the heavy lift vessel. During the last months, it has been extensively tested in a test set-up of four generators. The system had been tested against the requirements as formulated in the ‘DNV GL Rules: DNV-RP-D102 closed busties’ with underlying rules ‘Part 4: Ch8 Electrical installations & Ch9 Control and monitoring systems’. The system has passed these tests with flying colours even under dual fuel conditions.